These above two images were taken last week from Lampeter. 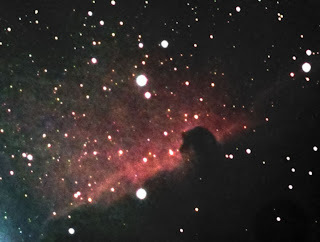 The Horsehead nebula shot is made up of 12 x 90sec luminance and 5 x 30 sec, binned 2x2 each of RGB using Astroart 4. All exposures were dark subtracted. 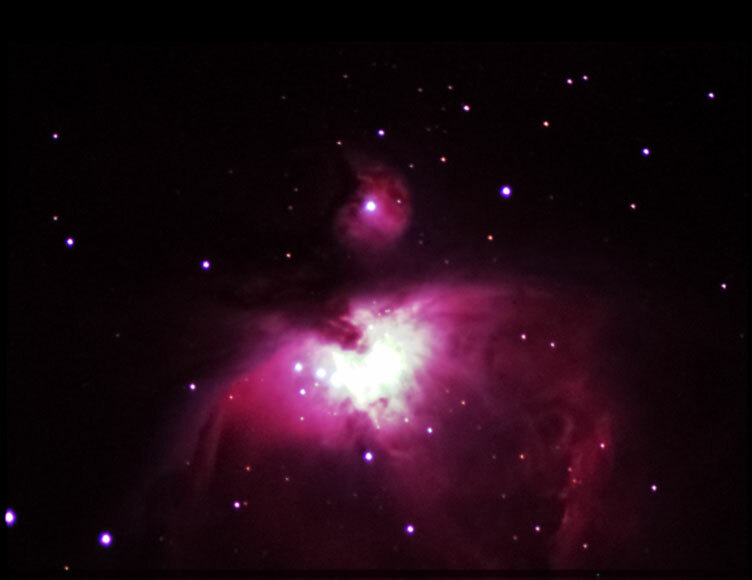 I would have taken more colour exposures but Orion was starting to vanish behind the neighbour's roof and I thought it better to get something. Once stacked and RGB combined in Astroart, I combined luminance with RGB in Photoshop and processed the combined image using Noel's Actions principally. 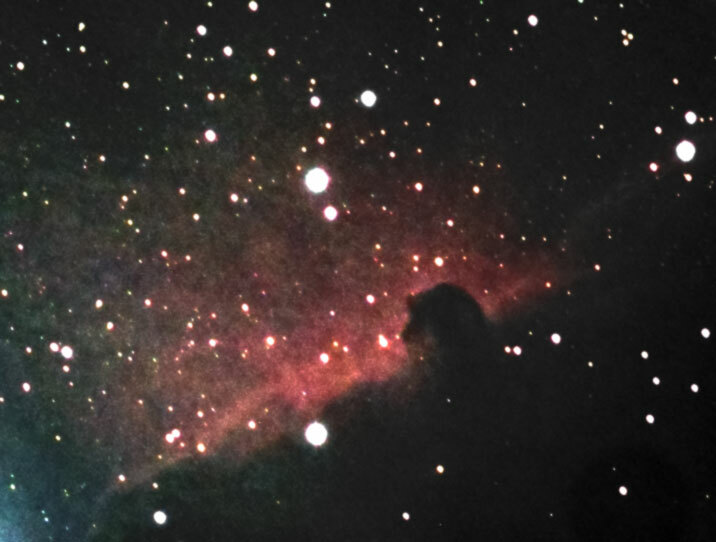 The camera used was a William Optics Zenithstar EDII, 80 mm scope with a Starlight Express MX716. The photo of M42 was taken in a similar way but only using 5 or 6 exposures for each channel. 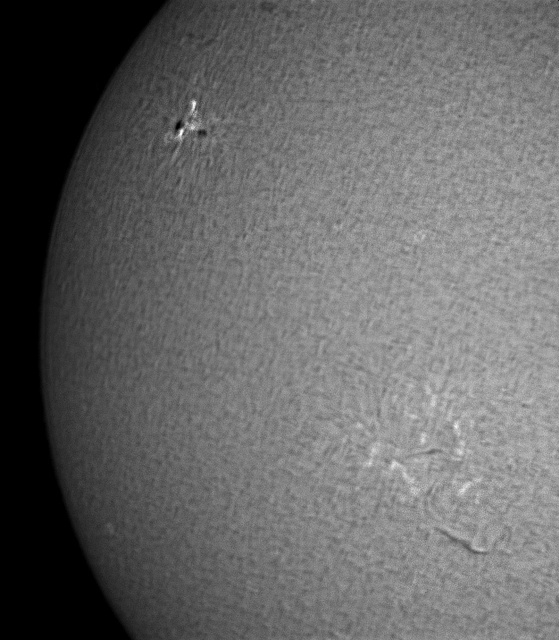 Unfortunately the centre is burned out and I haven't managed to get a clean short exposure of that section to combine yet. 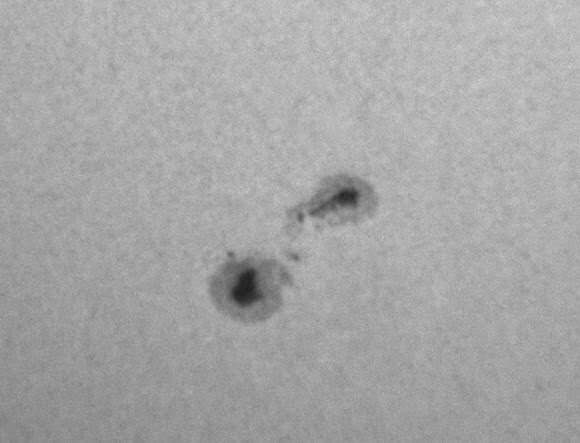 This morning I took these images of Sunspot 1057. 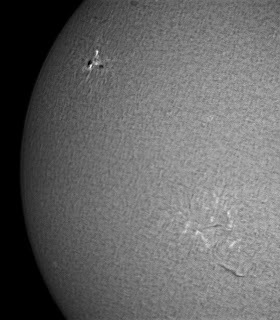 Unfortunately I only had a 20 minute window before it clouded over followed by a heavy shower. These images were all taken through a Skywatcher 80mm refractor, baader filter and a DMK31 camera. 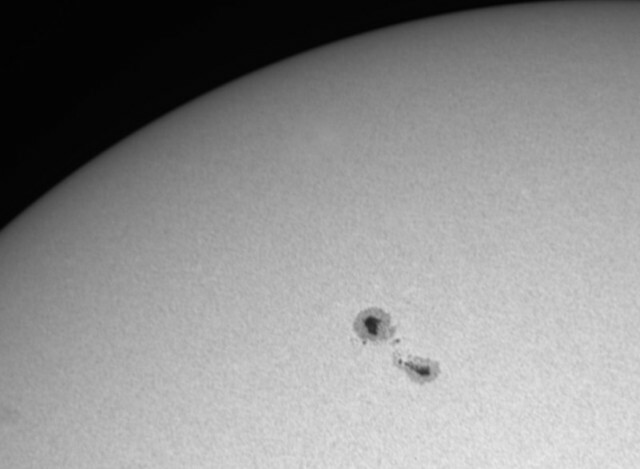 First shot was at prime focus, then a 2.5x barlow and lastly a 3x barlow. Green light is in the middle of the visible spectrum and is a very stable region in which do white light imaging. An f/5 6" refractor was fitted with a photo grade Baader solar filter (not safe for eyepiece work) and the DMK camera was fitted with a Baader green continuum filter and a x2 Barlow. 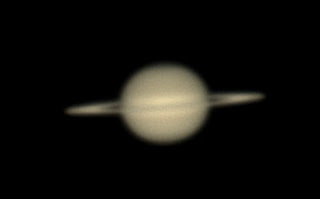 The best 3000 frames out of a total of 5000 were stacked in registax to produce the final image. The umbras and penumbras were very clear and there were a number of pores around the spots. 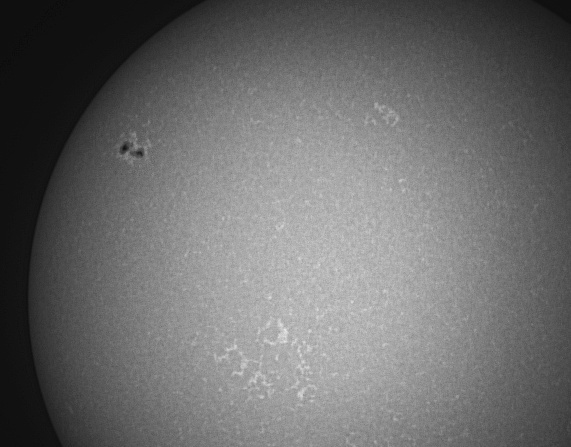 H-alpha and Ca K-Line PSTs were used with a DMK camera. The sunspots were easily visible in solar binoculars. The weather was not good and the data were gathered through haze in infrequent gaps between the clouds. Although the seeing conditions were poor on Saturday night, I managed some pictures of Mars and Saturn. 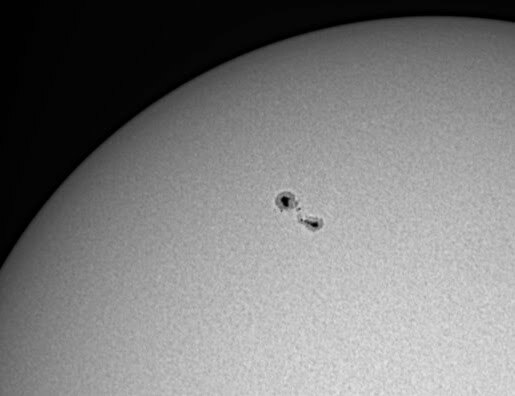 They were both taken through a Celestron 11" telescope, a 2.5x barlow and a Imaging Source DBK21 camera.